Make Your Work Simpler By Changing The Default Starting Directory OfWindows Explorer ! Windows 7 Tips ! If you keep using your system and you spend your most of the time with your computer to manipulate files that are saved outside of the documents folders than inside, there is an easier way available for you to resolve this problem. All you have to do is, just change the starting directory for Windows Explorer. If you do this, the directory will be opened at the Computer Node. 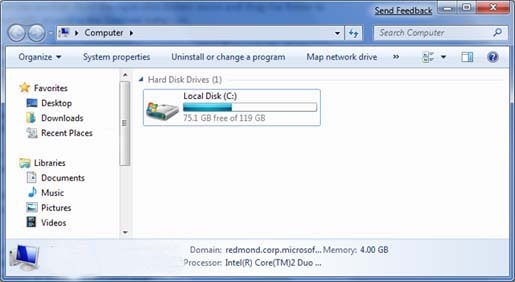 Follow the steps to change your default directory for Windows Explorer. Then click ok. All it is done, thus you can make your work simpler.